During the second day of the Microsoft BUILD conference, Microsoft announced that Foursquare is building its first native tablet app and it happens to be for Windows 8/RT tablets. The social "check-in" site has 35 million subscribers and the app for the Windows flavored tablets offers a nice looking new design. Foursquare took the opportunity of the BUILD conference to show off the upcoming app. It is not ready yet for the Windows Phone Store, but is obviously close to being completed. Last month, Foursquare brought to its Android smartphone app, an update that allows it to use the additional space available on Android tablets. While it allows Foursquare to look better on an Android slab, the app was not made specifically for tablets as the Windows 8/RT one is. 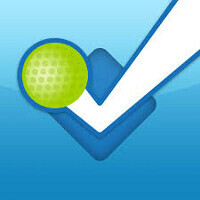 On Tuesday, Foursquare added a much requested feature in a new update. You can now check-in your friends with their permission. That means if you arrive at a location in a large group, instead of everyone checking in individually, one person can handle it. So what is happening with Windows in the last two days? On Wednesday, we told you that Twitter selected Windows Phone as the first platform to receive its integration with Bing Translator, and now the first Foursquare native tablet app is heading to Window8/RT. The former is understandable when you realize that Microsoft owns Bing, but Foursquare's decision to debut a native tablet app with Windows 8/RT is a bit unusual since the platform's market share is pretty low. It looks good. I have a laptop at home so I won't download it but if I had a tablet I would get it.